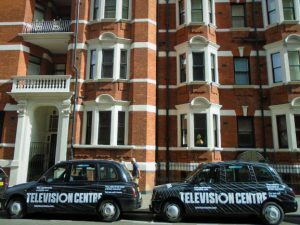 Television Centre complex promotes its new homes, offices and television studios situated at one of the most desirable London’s locations – White City. 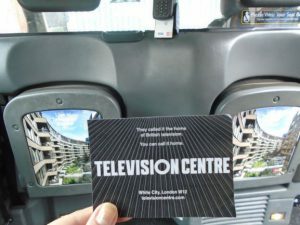 Campaign includes mix of Supersides and full Liveries with branded receipts and taxi tip up seats to maximise the potential of mix creative formats. 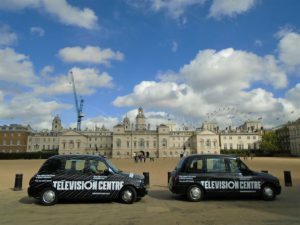 Using bespoke techniques and technologies such as our client app/booking portals plus Telematics journey data, digital photo recording, and GPS tracking, we track and report every taxi as it delivers the campaign. 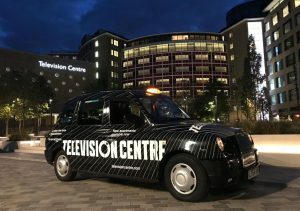 By combining media with PR one of our TVC branded taxis was visible at Television Centre PR parties available for guests and press to use for their journeys.